The British built this fort to on a hill on the eastern face of Mahim creek under the rule of Gerald Aungier. 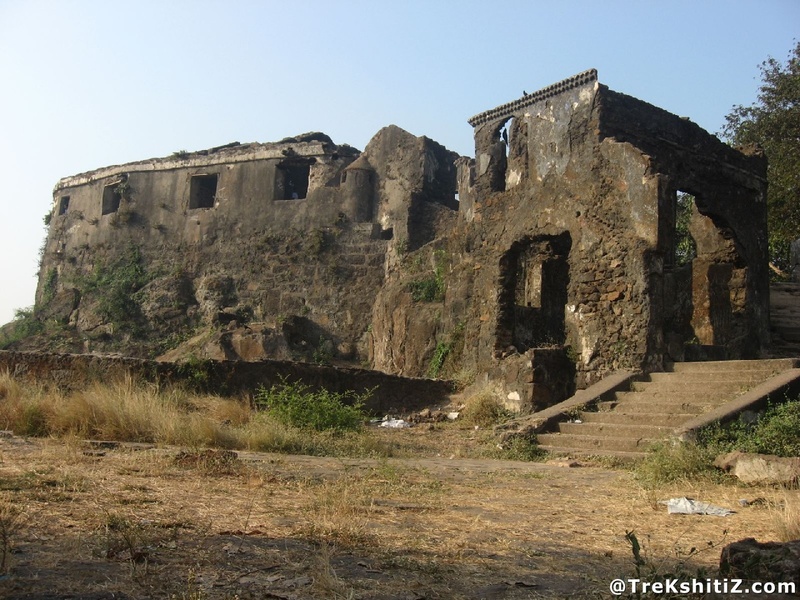 The Marathas took over this fort in Vasai campaign. This was between British ruled Mumbai and Portuguese ruled Sashti or Salsette Island. This fort was to safeguard the trade route via Mahim creek. Sion fort is near Jawaharlal Nehru Udyan. There is branch office of the Archaeological Survey of India at the base, and the path to the fort goes through the office. The bastions, remnants of old offices, a storage room and a square shaped pond are seen on the fort. We can get a glimpse of Mahim creek and nearby region from the central bastion. We have to go to Sion east from Sion station. We reach the Eastern Expressway after a walk of 3 min. After crossing this we can reach the fort in 2 min.